'Camino Concept' comes home to Western Pa.
“Billy Camino” has come home to Southwestern Pennsylvania, on WMCK.FM. "Camino" is the host of "The Camino Concept," which he calls "The Playground of a Licentious Imagination." The weekly two-hour show of "mostly eclectic oldies and fun novelties" is airing at 10 p.m. Thursdays, with rebroadcasts at 3 p.m. Fridays and 7 p.m. Mondays. "What an awesome joy for ‘Team Camino’ to humbly be at your service, by sharing our passion for the most memorable music of our journeys; especially to enjoy making new unbelievably awesome memories with you… right here in ‘my’ dirt & ‘my’ river water! 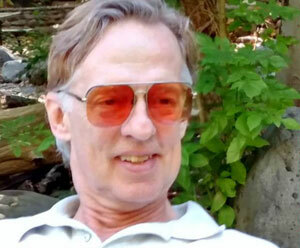 The 'golden age' of radio is on WMCK.FM! Six days a week, we're the "new sound of the Mon Valley." But on Sunday nights, we're the "old sound" of original scripted radio drama and comedy! 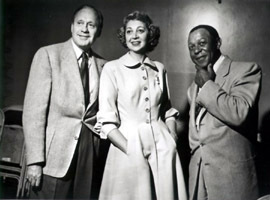 Jack Benny is back on the air on WMCK Sunday nights at 7. Each week, we dip into an archive of classic Jack Benny episodes, featuring his regular cast of naive tenor Dennis Day, alcoholic bandleader Phil Harris, rotund announcer Don Wilson, the "yes-s-s-s-s-s" man, Frank Nelson, Benny's faithful (but sarcastic) valet, Rochester, and Benny's real-life wife, Mary Livingston. Listen, and find out why Jack Benny, the pride of Waukegan, Ill., and supposedly the stingiest man alive, was one of America's most popular comedians for 40 years. Back on October 6, 2015, this producer/host was proud and honored to officially sign on WMCK.FM McKeesport’s very own Internet Radio Station. As we celebrate our third anniversary, let’s return to October 6, 2015 and remember the very first program in the series of Goffus Golden Oldies Tuesday October 2 at 6:00 am with Encore presentations Thursday October 4 at 7:00 pm and Saturday October 6 at 3:00 pm. During the past three years, it has been my pleasure to present these programs for you. My wish is that all of you continue to listen to the truly wonderful assorted programs on WMCK.FM, including Goffus Golden Oldies with your host/producer Doug Goffus. Again, Thank You for listening.